Heritage Plan – Our SG Heritage Plan is the first masterplan for Singapore’s heritage and museum sector which outlines the broad strategies and initiatives for the sector over the next five years (2018 – 2022) and beyond. Through the plan, we hope to instil pride in our heritage and in what makes us Singaporean, build a more cohesive and resilient society, and more importantly, protect and preserve Singapore’s heritage for future generations of Singaporeans. Our hawker centres, hawkers, and the wide array of affordable, well-loved dishes they churn out, are an integral part of our daily lives, as well as a distinctive feature of our nation’s food heritage. So, pledge your support here for the nomination of Hawker Culture in Singapore for UNESCO’s Representative List of Intangible Cultural Heritage today! Our hawker centres, hawkers, and the wide array of affordable, well-loved dishes they churn out, are an integral part of our daily lives, as well as a distinctive feature of our nation’s food heritage. 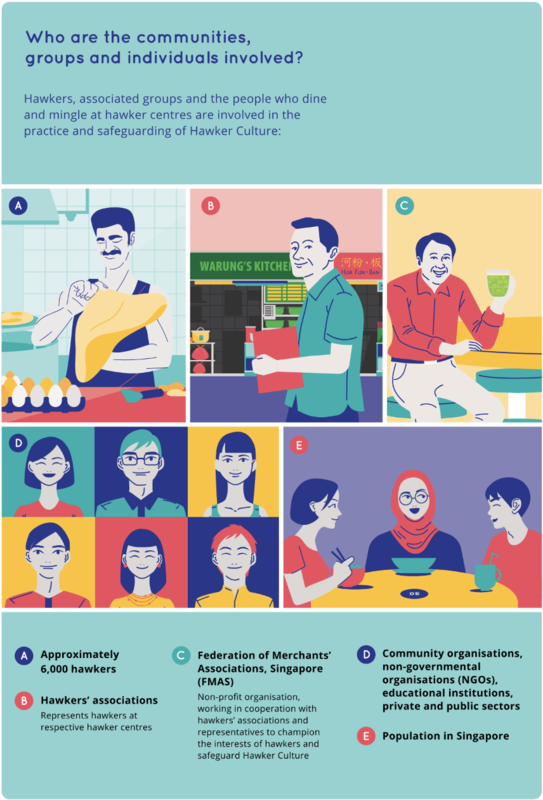 So, pledge your support for the nomination of Hawker Culture in Singapore for UNESCO’s Representative List of Intangible Cultural Heritage today! Sharing your information will help us in the UNESCO nomination as it shows how Singaporeans from all walks of life support our Hawker Culture! Rest assured, your information will be kept confidential. Thank you for pledging your support to safeguard hawker culture in Singapore. Share your pledge and encourage your friends to pledge too! Singapore has officially submitted our nomination for Hawker Culture in Singapore to UNESCO’s Representative List of the Intangible Cultural Heritage of Humanity! Thank you for being part of this journey with us. As results will only be known end-2020, please continue to support #OurHawkerCulture. Hawker Culture is quintessential to our Singaporean way of life. More than just a congregation of affordable local food, it’s the center of our local communities and our identity as Singaporeans. Our hawker centre is a very unique place where people from all walks of life come together to have a meal. There are a lot of food varieties from Malay cuisine to Chinese, Indian, Western and vegetarian cuisine. It’s a place where friends from different races can gather in 1 table, have a good meal and catch up with one another. Nowhere else in the world can we see such a unique scene. Hawker culture is part of our Singaporean identity and it has definitely brought many good memories to the citizens. 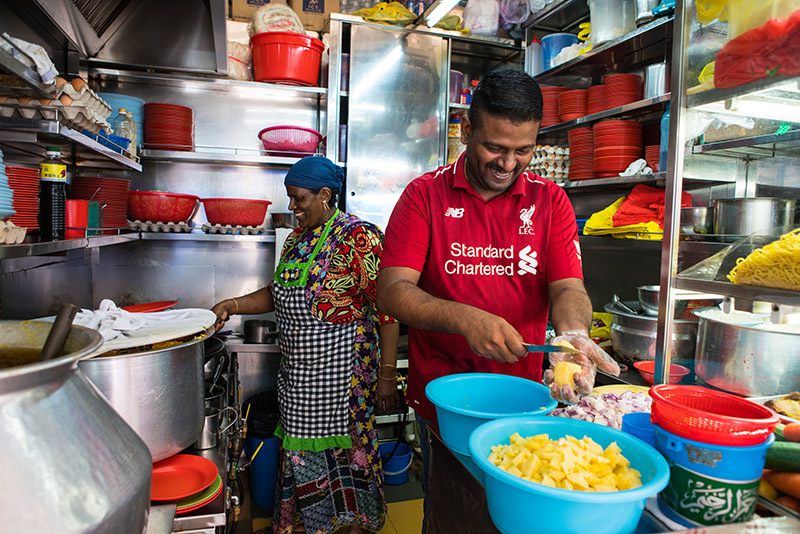 From buying our favourite local food, to interacting with the stall vendors and having family meals at hawker centres, it has enriched our lives and served not only as an eating location but a community hub where social cohesion is fostered. Uniquely Singapore, this communal dining phenomenon was first perpetuated by Singapore moving their street vendors into hawker centres. With our myriad of races, cultures hence cuisines, many globally recognised and award winning dishes were born from such initiatives. This is the only place where race, culture and politics do not divide. Rich or poor, educated or not so, these centres are where every Singaporean and tourist would want to come and experience the food that is unique to Singapore. It’s something that I look forward to whenever I return home from a working trip. It’s the familiar feeling of home, the noise, smell, tastes, can never be replicated elsewhere.